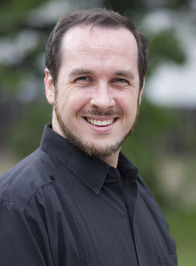 Let’s start with an introduction: Who is Marshall Ryan Maresca? I’m a fantasy and sci-fi writer living in Austin, TX, as well as an occasional playwright. I grew up in upstate New York, outside of Syracuse, but fled from lake-effect winters to hotter climates when I finished college. Your debut, The Thorn of Dentonhill, will be published by DAW Books in the US, in February. How would you introduce the novel to a potential reader? Is it part of a series? 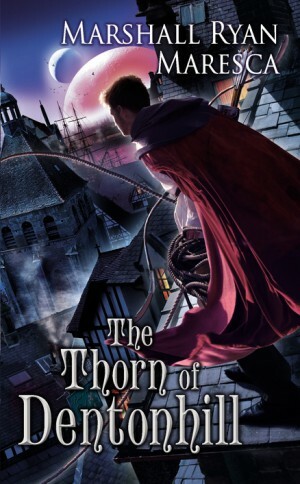 The Thorn of Dentonhill follows Veranix Calbert, a magic-student by day, vigilante-by-night who fights his own personal war against a drug trafficking gang. It’s a fast-paced adventure, filled with action, magic and snappy dialogue. Is it part of a series? Short answer: yes. More complicated answer: Thorn is the first in a series following Veranix, but my next book — A Murder of Mages — is in the same setting, but following different characters. So there will be two separate series that cohabit the same space. I draw inspiration from just about every form of media: books, movies, television, comics. In the specific case of Thorn of Dentonhill, I wanted to take elements of the “charming rogue” fantasy hero and turn them on their ear. Thinking along those lines, I drew on classic elements of a superhero story and merged them with a fantasy crimeworld setting. It felt like the perfect marriage for exactly the story and character I wanted to explore. The first fantasy series that really hit me sideways across the brain was Zilpha Keatley Snyder’s Green-Sky trilogy. I don’t think that’s the first one I read, but it’s the one that really opened up the worldbuilding possibilities of what fantasy could be. It’s a dream, utterly. I get to think up crazy things, write them down, and get paid. I’m a professional daydreamer. I can’t think of anything better than that. Not specifically. The main thing for me is putting on headphones and drowning in sound so I can tune out the world and zero in on the work. Of course, what I use to drown myself can depend on what I need to put my brain in gear, and my brain sometimes need just flat out embarrassing music, at least for a man in his 40s. But sometimes the muse is a teenager who just wants to dance. Somewhere in seventh grade, I decided I need to write an epic fantasy called “The Last Righon”. What was a Righon? I had no idea, but I really liked that title. But it was a mess, of course. I think at one point I had the main characters more or less stop on a hilltop and pose so I had an excuse to describe them all. But despite that, I have a fond recollection of it. But that may only be because it’s been unseen in a box somewhere in my parents’ home for decades. I think I did eventually work out what a Righon was. I think it’s in an amazing place, with a real feast of great stuff that all fits into what can be considered “fantasy”. And what’s really fantastic is you see a ton of really different things that are all recognizably “fantasy”, but at the same time each one stands out as unique. Hopefully my work can stand next to all of those. Next up is A Murder of Mages, which comes out in July. That’s set in the same city as The Thorn of Dentonhill, following two constabulary inspectors trying to solve a series of murders tied to the magic community. At the moment, I’m working on the sequels to Thorn and Murder — though currently the Murder one is getting the most attention, as I’ve finished a draft of Thorn II. I’ve also got a space opera novel that I’ve been working on. My to-read pile is obscene, but I read more non-fiction than fiction much of the time. 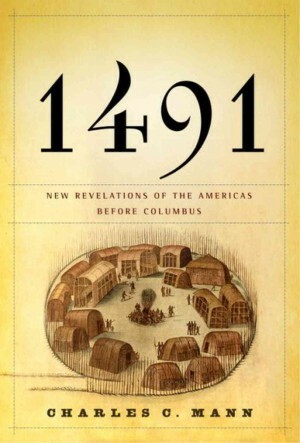 Currently I’m reading 1491, which is more fuel for the worldbuilding engines in my head. Much of the non-fiction I read is to that end. I’m a die-hard rustic foodie. To the degree that not making things from scratch is “cheating” for me. And that informs the books and the world-building. Food defines a culture. I bring a fair amount of that into Thorn. In fact, when my agent first read the manuscript, in the email where he expressed interest in representation he also added, “That chicken dish he eats at the end of the one chapter… do you have a recipe for that?” Yes, yes I do. Besides the release of Thorn and A Murder of Mages? 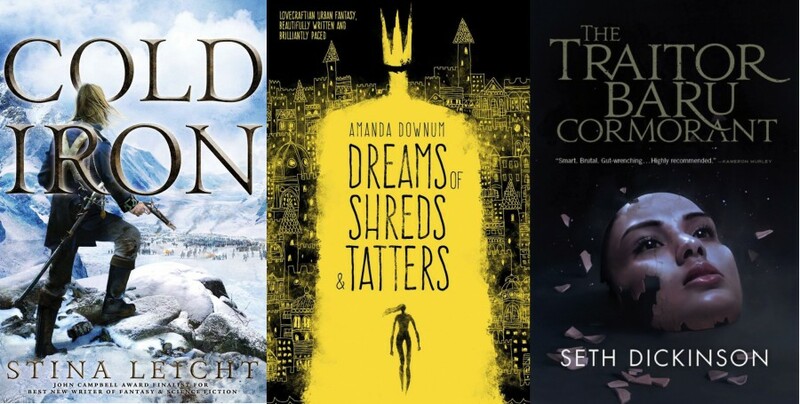 There’s a few books on my radar that I’m looking forward to: Stina Leicht’s Cold Iron, Amanda Downum’s Dreams of Shreds and Tatters, and Seth Dickinson’s The Traitor Beru Cormorant.